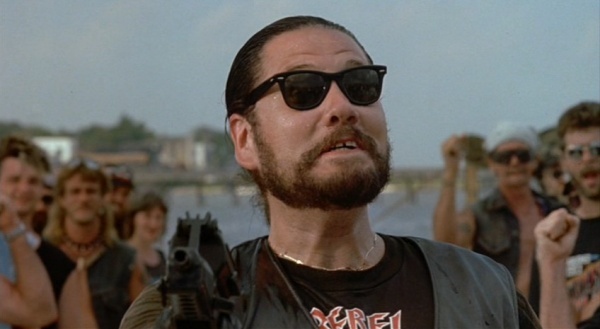 Joe Huff (Brian Bosworth) is strong-armed by the FBI to infiltrate a dangerous gang of white supremacist bikers who have been drug running. Huff doesn’t want to do it, but he’s on suspension and the FBI leave him no choice. He travels down to Mississippi using the name John Stone. 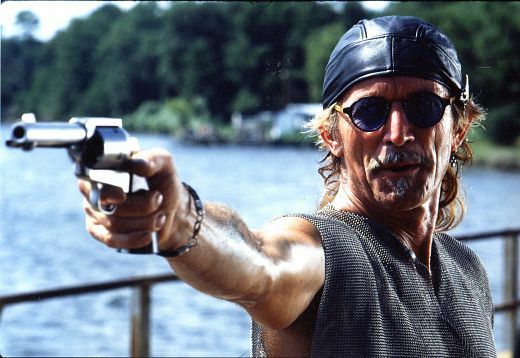 There he comes face to face with the gang leader called Chains Cooper (Lance Henriksen) and his second in command Ice (William Forsythe). Stone has to convince Chains that he’s for real before they let him join the gang. He’s told to kill a man as part of his initiation to prove his worth. He uses his agency contact to help him fake the persons death and his accepted. However Ice has his doubts about Stone and begins to spy on him. The whole thing culminates in blood and bullets. I must say I found this to be good fun. It’s a typical weekend evening movie, sitting back with a nice takeaway and relaxing. There is lots to love here. The script is cheesy as hell and the acting is questionable in places. However William Forsythe and Lance Henriksen are on scene stealing form as usual. I find that they are always good value for money. Sam McMurray is also great as Joe Huff/John Stone’s FBI contact Lance. Always looking out of place wherever they meet. 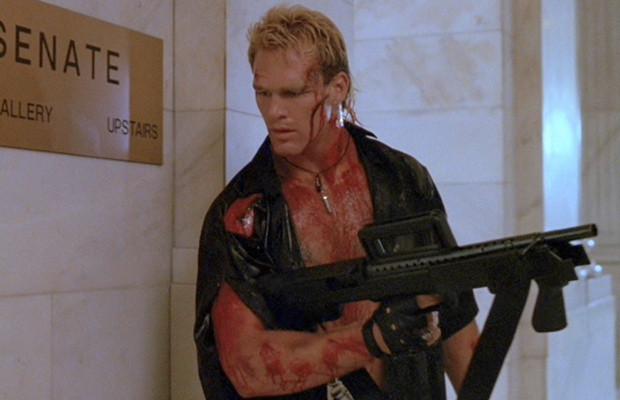 I’ll hold my hands up now and also say I dug Brian Bosworth’s performance here. Honestly. He gives it a good go and he makes for a convincing action hero. He’s built like a brick shithouse and delivers a solid action performance. There are some great shoot-outs and awesome fights. The final third is brilliant. I’ve seen this a few times now. 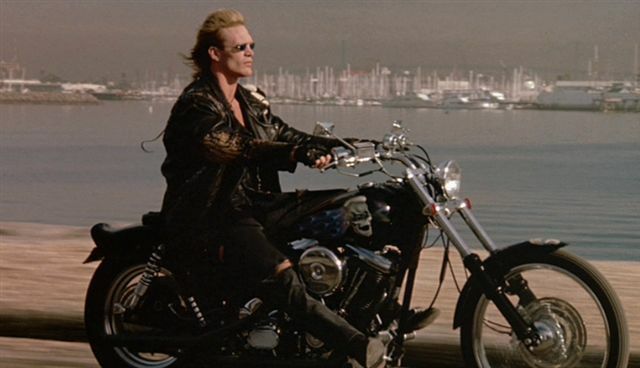 Brian Bosworth never really made good on this early promise, instead was left languishing in DTV hell. Give it a go though, it entertains, and that’s all that matters isn’t it? The poster below is the best poster I’ve seen for this movie, however I could only find the German version. 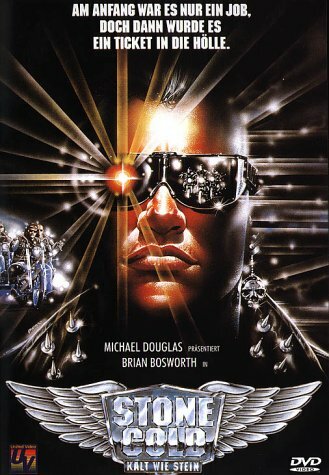 Why they made it look like a Terminator poster is beyond me.